Located in the north-central part of Miami-Dade County, Doral is a city with a mix of industrial and suburban neighborhoods. Like the rest of South Florida, Doral is a bilingual city, with many inhabitants speaking English and Spanish. According to the 2010 United States Census, the city underwent a rapid growth rate of 123.6%, making it one of the fastest growing cities in Miami-Dade County. Doral houses a large variety of business. Carnival Cruise Lines, Benihana, Perry Ellis International, Amadeus North America, AAXICO, Martinair, and Grupo TACA are some of the businesses that have their headquarters in the City. Major media outlets, Univision Network and CBS-owned and operated affiliate WFOR-TV, Channel 4, also have their headquarters in Doral. 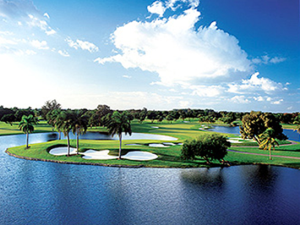 For golf aficionados, Doral is a prime location for anything and everything golf. The Blue Monster, located in the Doral Golf Resort, has been visited by Tiger Woods, Matt Kuchar, and Phil Mickelson—just to name a few. The PGA Tour keeps Doral Resort’s Blue Monster a key location for its matches and attracts many locals and fans from out of town. In 2008, Fortune Small Business and CNN Money ranked Doral #51 out of 100 cities with the best mix of business advantages and lifestyle appeal. BusinessWeek named Doral the Best City in Florida for Business Start-ups. Forbes.com ranked the City #2 of America’s Top 25 towns to live well for its cultural amenities, pro-business environments, and highly educated workforce. Why Work with an SIOR?